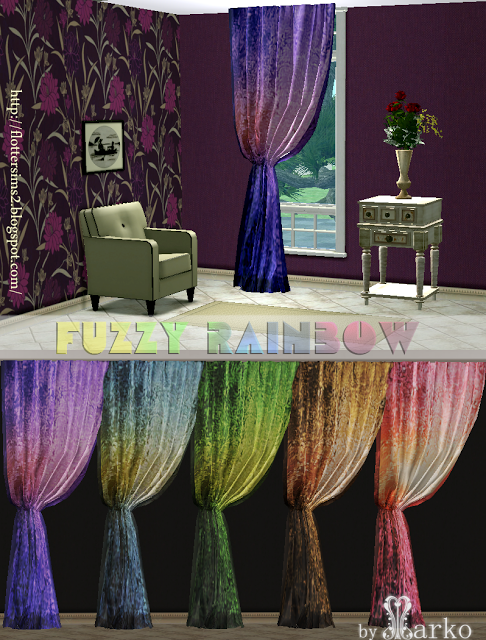 Description: Colourful fuzzy rainbow curtains in 5 colours. 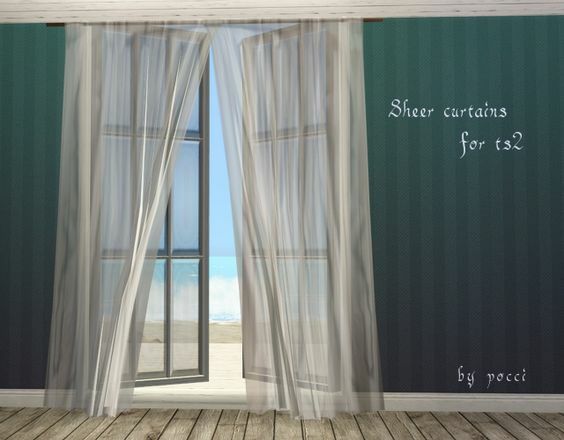 Description: Full length curtain that fits AL ceilings. 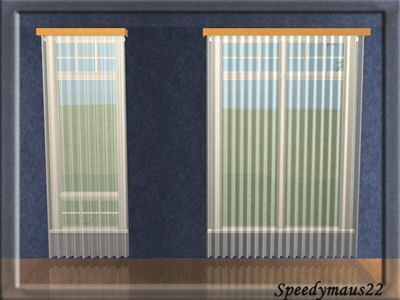 Two subsets (rod, fabric), so that the curtain can be transparent. 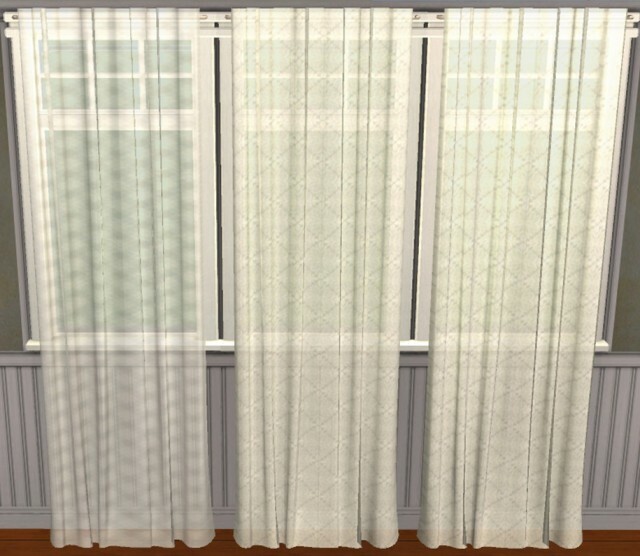 Includes diagonal, basic wood recolors(ash, oak, mahogany, black, white, washed white) and transparent curtains. 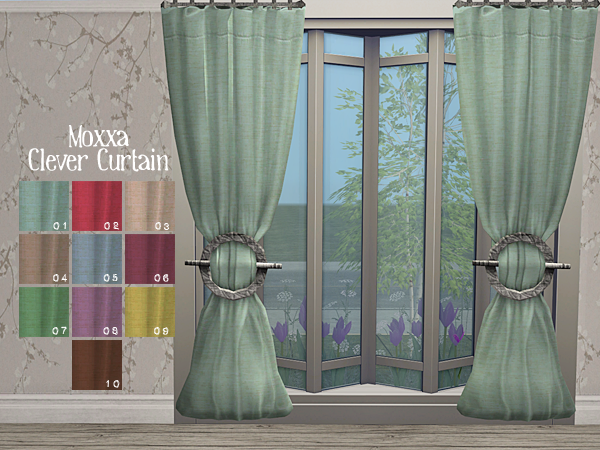 Description: Moxxa's Clever Curtain recolours. 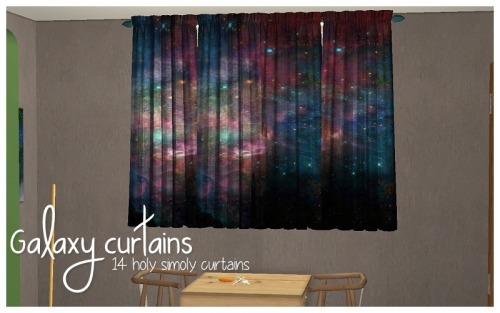 Description: 14 galaxy retextures of HolySimoly's curtains. 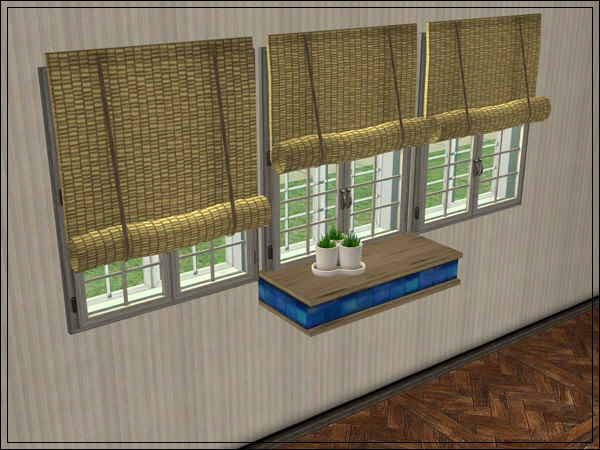 Description: Fitted blinds that fit any window. 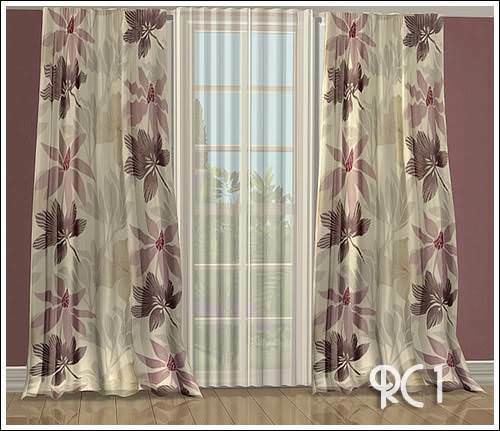 Description: Simple curtains in SLAK colours. 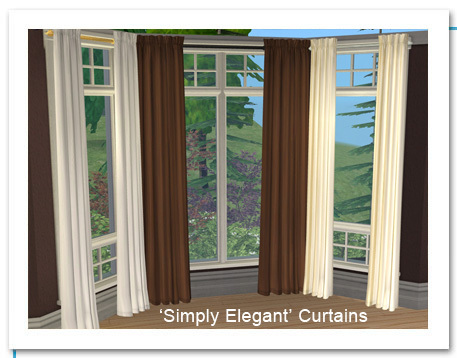 Description: Simple curtains in lots of colour options. 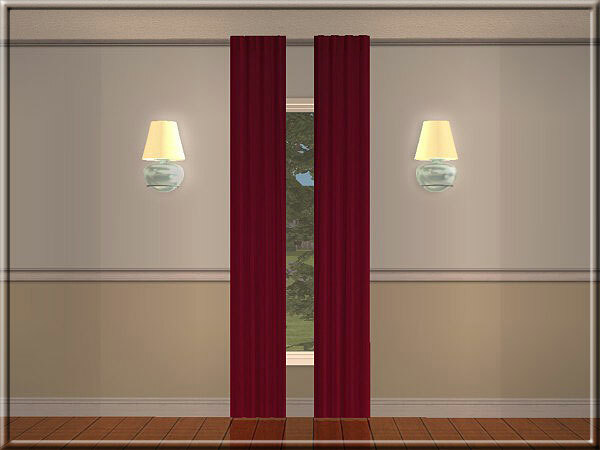 Description: One-tile and two-tile sheer curtains. 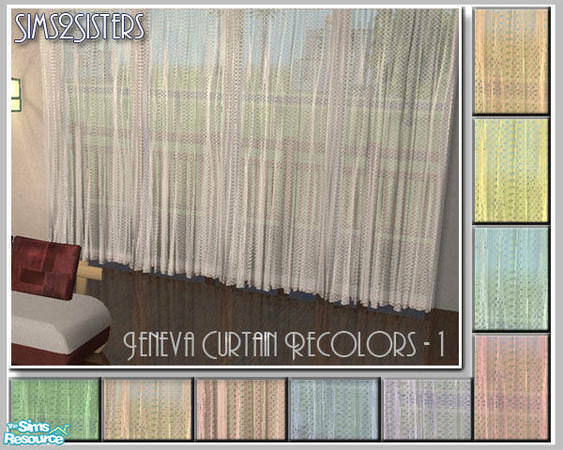 Description: Steffor's Couch Potato curtain recolours. 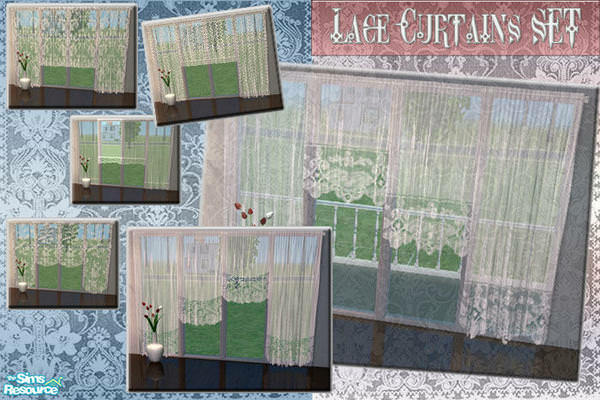 Description: Six sheer curtains converted from The Sims 3. 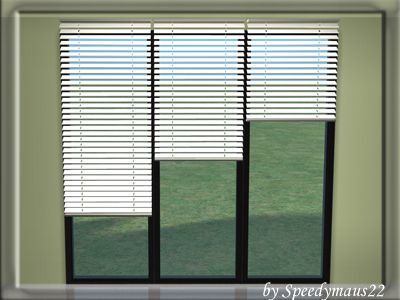 Description: Blinds in three lengths. 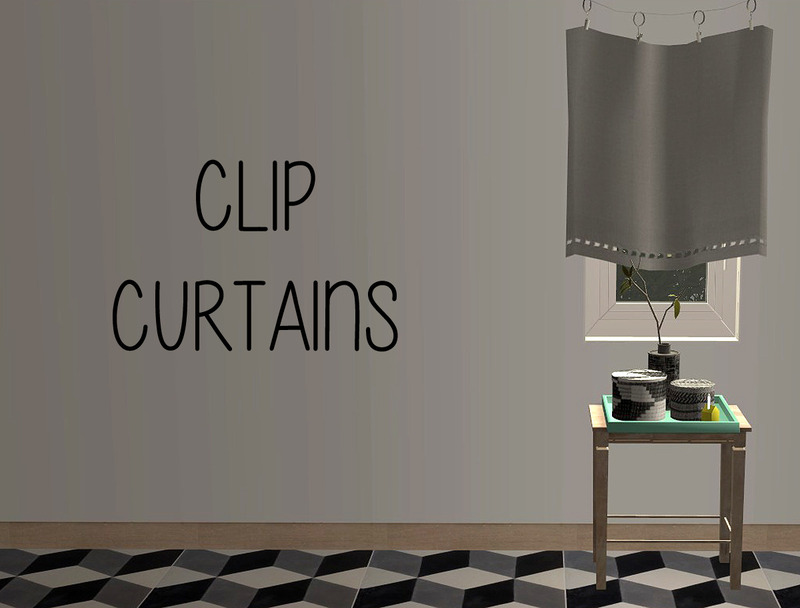 Description: Clip curtains in various lengths and colours. 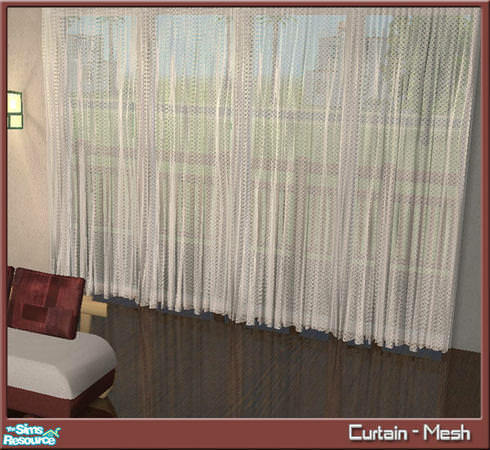 Description: Shiny curtain in several colour options. 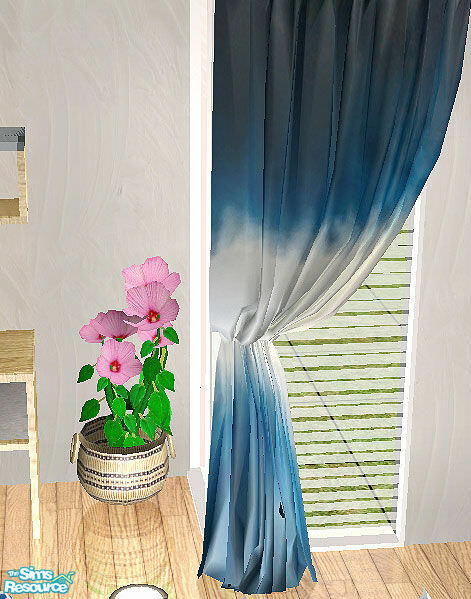 Description: Gradient recolours of HolySimoly's curtains. 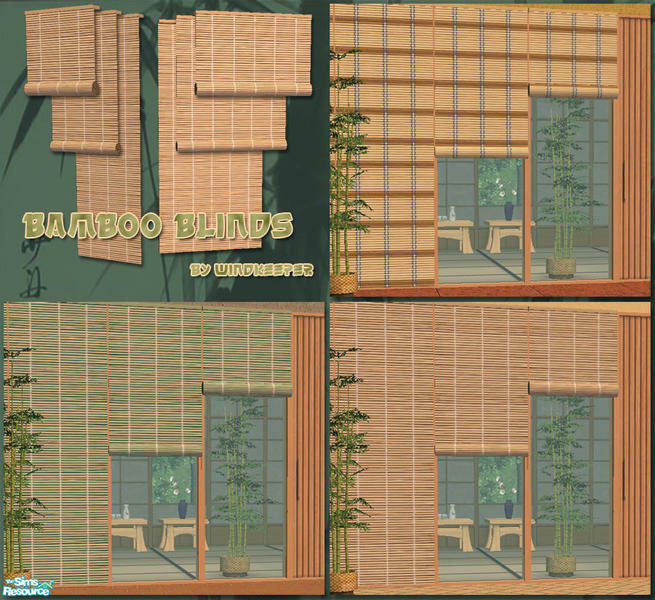 Description: Rolled blinds converted from the Sims 3. 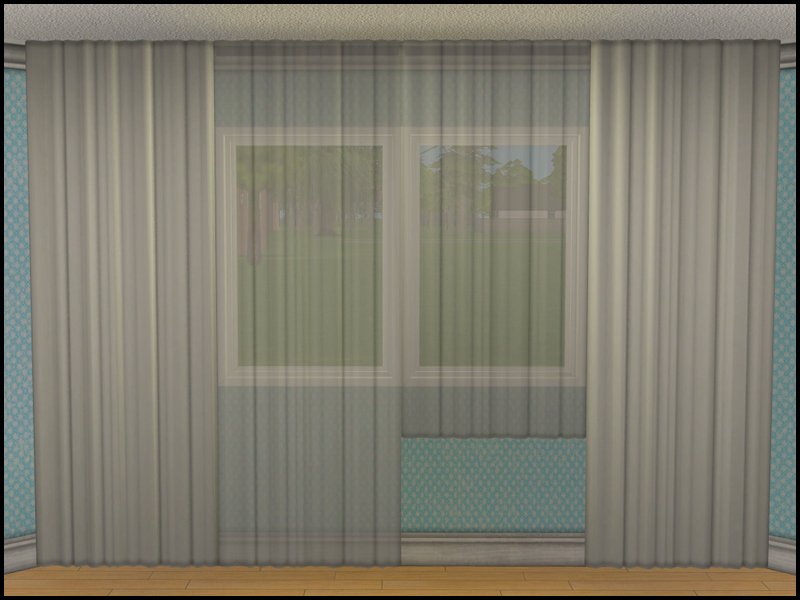 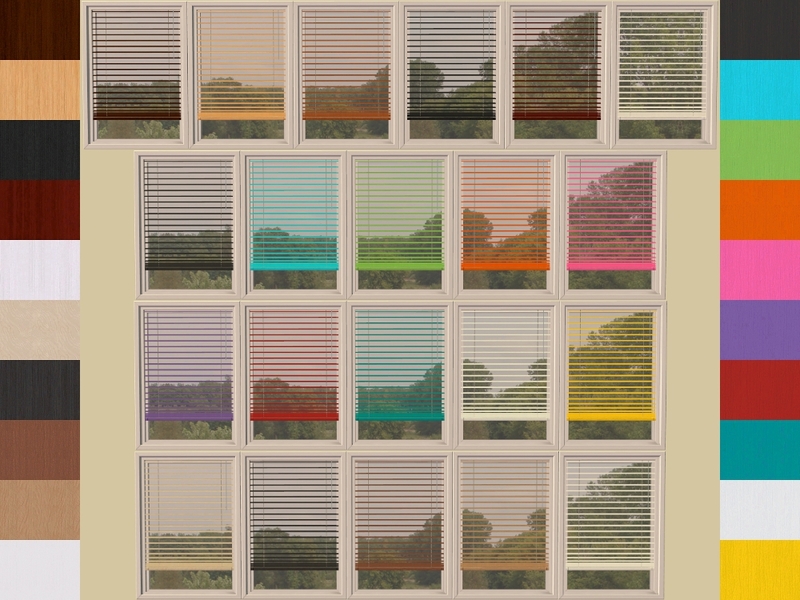 Description: Transparent and sheer Murray curtain recolours. 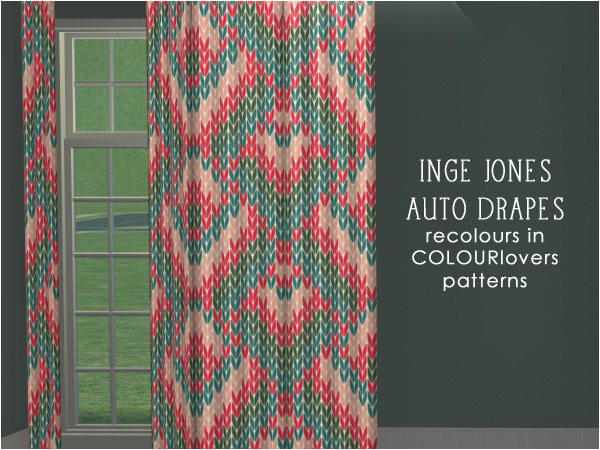 Description: Inge Jones' Auto drapes patterned recolours. 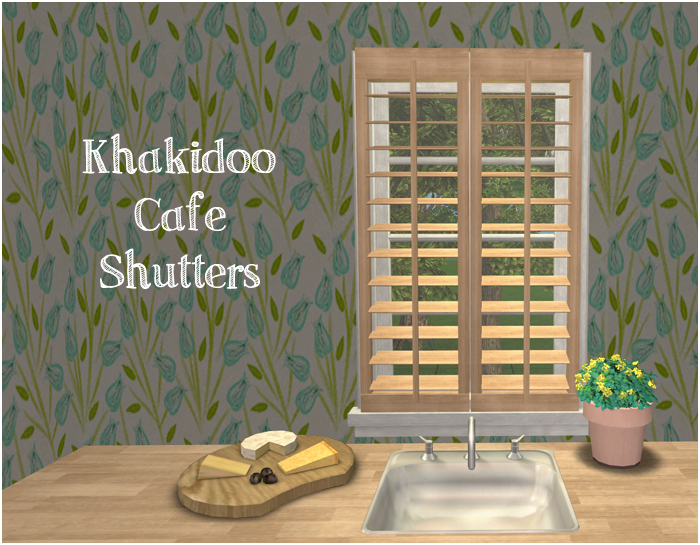 Description: Recolours of Khakidoo's Cafe Shutters.